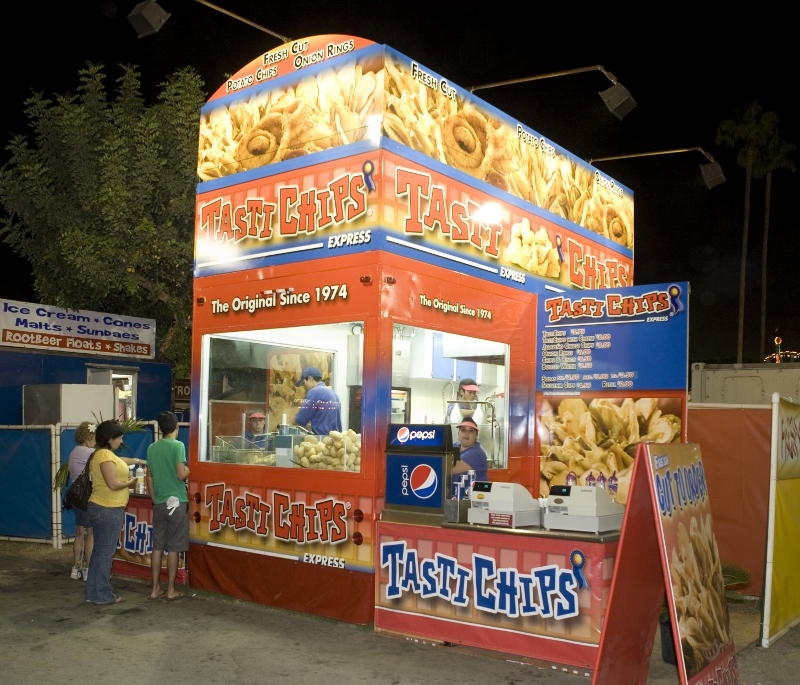 Tasti Chips® was the brainchild of founder Grant Vartanian who decided to bring a fresh potato chip to the fair industry. We are working on our fourth decade but the same simple quality ingredients he selected are still being used. Fresh California grown potatoes, 100% pure allergen free peanut oil, and the finest cheddar cheese sauce money can buy. In the beginning there were no high efficiency fryers like the ones we use today. 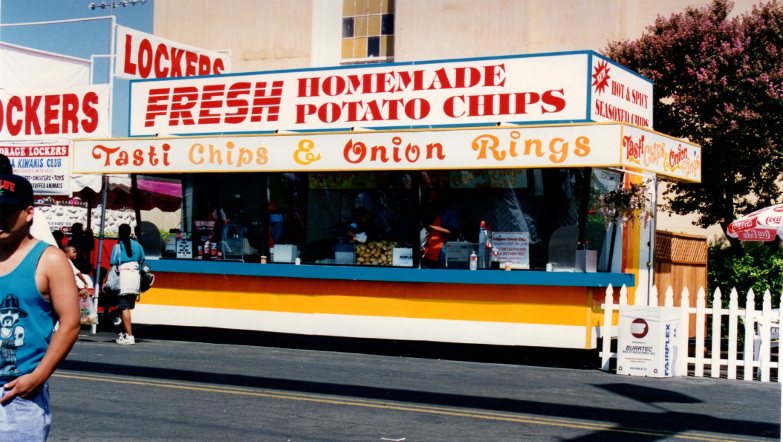 The fresh sliced potatoes were cooked in baskets that were sometimes moved down a line of fryers to keep oil temperatures at their highest. The finished product was also softer than we make them now. There are still customers who remember the small red cocktail forks that were used to eat the softer chips and cheese sauce and order their Tasti Chips® the “old” way. We use only the highest quality cheese sauce for our toppings and during the summer we are one of the biggest consumers of Chefmate® cheese sauce. Prices continue to rise but our customers don’t want us to change a thing, some of them have eaten our products for over 30 years! Call us crazy, (some suppliers have!) but using the best is what we do. It’s a family tradition we’ll never change.